Come out this Sunday, Jan 29, at 6:30pm to Mayday Space for a Free University – NYC 2017 studies/actions brainstorm session. Building floor and accessibility details TBA ASAP. Bring food, friends, and freedom dreams. – What kinds of events should we co-create this year? – What kinds of resources could we circulate and how? – How can Free U build with other amazing NYC movements work? – What medium-/long-term goals of Mayday Space to bridge collective spaces nationwide can be supported along the way? – How can each of you participate? ¡Sigue empujando! Venga este domingo, 29 de enero, a las 6:30 pm a Mayday Espacio para una Escuela Libre de NYC 2017 sesión de diálogo sobre estudios/acciones. Piso de edificio y detalles de accesibilidad serán anunciados rápidamente. Traiga comida, amigxs, y sueños de libertad. – ¿Qué tipo de eventos debemos co-crear este año? – ¿Qué tipos de recursos podríamos circular y cómo? – ¿Cómo puede Free U construir con otros movimientos increíbles en NYC? – ¿Qué objetivos a mediano y largo plazo de Mayday Space para unir espacios colectivos a nivel nacional pueden ser apoyados a lo largo del camino? – ¿Cómo pueden participar cada uno de ustedes? Free University-NYC and Mayday Space will host movement-building workshops against Trump’s regime in an all-day event at Mayday Space on Saturday, January 14. On the weekend before the inauguration of Trump, Free University-NYC and Mayday Space invite new and seasoned movement-makers to a day of workshops, teach-ins, and skill-shares. Through this event, we aim to more effectively resist the recent intensification of xenophobia, hate crimes, endangered reproductive rights, white supremacy, attacks on workers, and environmental destructions that Trump’s election has emboldened. We will provide childcare, food by the Mayday Kitchen Collective, and Spanish interpretation. – language rights and language access. – protest health and safety/first-aid. A special early afternoon session (12:00–1:30 p.m.) will be devoted to movement folks in NYC making our work more cohesive. There are many people doing work around the city, but we are not in dialogue. Our goal is to converge NYC social justice communities to plan, map out, and share information for 2017 campaigns, events, and actions. Sessions can be recorded to share these resources more broadly. This event honors the communities that Mayday Space has nourished. Workshops will center people who will bear the potential dangers of Trump’s presidency most, as we welcome a broad turn-out of people committed to justice, and we urge everyone to remember the occupied indigenous land on which we work. 12:00–1:30 BUILDING AN ECOSYSTEM: SHARING 2017 CAMPAIGN STRATEGIES AMONG WORKING ORGANIZERS. Food will be provided. 5:50–7:00 CLOSING IN COMMUNITY – reflections, affirmations, share-outs, care and play, leading us towards our after-party at Starr Bar with music, performances and radical artistic gathering! Food will be provided. Una colaboración de Free University-NYC y Mayday Space. *¡Parte nueva! 7PM – 9PM Plenario de la tarde: Cómo organizar una huelga general: Una reflexión del movimiento, con organizadores de Quebec, Huelga de mujeres J20, y Movimiento Cosecha. Free University-NYC y Mayday Space convocamos a diversas personas y colectivos para talleres contra el régimen de Trump, en un evento que dure toda la tarde del 14 de enero en el local de Mayday Space. – Enseñanza en cuidados necesarios para concurrir a una protesta, temas de seguridad y primeros auxilios. El fin de semana previo a la inauguración del ascenso de Trump, Free University-NYC y Mayday Space invita a tod@s aquell@s gestor@s interesad@s en crear movimientos o proponer acciones conjuntas a un día entero de talleres, seminarios de enseñanza participativa, así como a compartir sus habilidades. En este evento, buscamos aprender nuevas formas de resistencia ante la creciente intensificación de la xenofobia, los crímenes de odio, la puesta en peligro de los derechos reproductivos, la supremacía blanca, los ataques frecuentes entre trabajadores, y la destrucción ambiental que la elección de Trump ha reforzado. Ofrecemos cuidado de niños, comida, e interpretación en español. Las sesiones podrán ser grabadas para compartirlas abiertamente. 12:00–1:30 CONSTRUYENDO UN ECOSISTEMA: Compartiendo estrategias de la campaña 2017 entre organizadores. Se servirá comida. 5:50–7:00 Cerrando con la comunidad- reflexiones, declaraciones, repartos y diversión. Se servirá comida. Download Schedule and Complete Info-Pack. Free University-NYC, in collaboration with Rename&Reclaim, will host an afternoon of free social justice education – including workshops, teach-ins, performances, and interactive play – as part of the May Day 2016 weekend. Come celebrate and learn from each other. Uncover radical histories of the Village and New York City. Collaborate with social movements for labor, migration, and care across all ethnicities and races. – African, African American, Asian, Caribbean, Chicanx, European, Latin American, Middle Eastern, Native American, and Pacific Islander histories and presences in Washington Square Park, the Village, and NYC. – People’s histories of May Day, labor, unions, wildcats, and workers’ centers. – Umbra, the Beat Generation, and the origins of the Black Arts Movement and white countercultures in the Village. – East Village origins of the Young Lords and Nuyorican Poetics. – #BlackLivesMatter, #ICEFreeNYC, #AsiansforBlackLives, #MuslimsforBlackLives, #ShowingUpforRacialJustice, #RapeFreeNYC, #ShutDownRikers, #FreeCUNY, — building bridges to liberation. – Prisons, NYPD / ICE, and the law (e.g., “know your rights,” protection from neighborhood raids, copwatch 101, prisoners solidarity). – Race and migration struggles amidst election contests between Clinton, Cruz, Sanders, Stein, and Trump. – Resisting gentrification and evictions under de Blasio’s new housing policy. – Student and faculty strikes from Chicago to France to NYC to Puerto Rico. – Poetry, literature, and music from African, African American, Asian, Caribbean, Chicanx, European, Latin American, Middle Eastern, Native American, and Pacific Islander presences in the Village and May Day celebrations. The Free University of New York City is an experiment in radical community education and an attempt to create education as it ought to be, building on the historic tradition of movement freedom schools. First conceived as a form of educational strike in the run up to May Day, 2012, Free University-NYC has since organized over 20 events of free crowd-sourced education in community centers, museums, parks, and subway stations in New York City. We recognize that the current system of higher learning is unequal and unsustainable, while vast knowledges across communities are hidden and undervalued. With tuition increasing at public and private colleges, the exploitation of adjunct labor, and the larger amounts of debt that students are expected to take on, university education becomes a rarefied commodity only available to the few. As a study/action alternative, we welcome diverse networks of political education to learn, grow, and transform society together. Rename&Reclaim is a group that was born out of the desire to keep the conversation around #BlackLivesMatter alive in the Village, Manhattan. Beginning in Fall 2015 with “Critical Tactics Lab” dialogues at New York University, the group began gathering to advance the goals of critical awareness and momentum that #BlackLivesMatter achieved. Conversations led to the importance of “renaming” as a part of the process to bring awareness, overcome erasures, and honor the role that African Americans have played to intellectually, physically, and spiritually construct the city as it is today. In addition, we urge collective acts of uncovering, sharing, and “reclaiming” many more of these hidden histories of Washington Square Park, downtown Manhattan, and across New York City. These histories form a context against which white settler-colonial supremacy in NYC can be made visible and interrupted. FUNDRAISER for Albert Woodfox (Angola 3) / Film / Food / Letter-Writing! Co-sponsored by Free University-NYC, Campaign to Bring Mumia Home, CUNY Prison Divest, Lynne Stewart Defense Organization, Mayday Space, National Lawyers Guild – NYC Chapter, New Abolitionist Movement, NYC Anarchist Black Cross, NYC Books Through Bars, NYC Free Leonard Peltier, and NYC Jericho Movement (in formation). This special fundraiser event will honor the February 19 release of Albert Woodfox (the Angola 3’s last remaining member who had been imprisoned in solitary confinement for over 41 years). We will screen the film The Angola 3: Black Panthers and the Last Slave Plantation, share food, write letters to Albert and incarcerated people, and discuss solidarity inside/outside prisons. 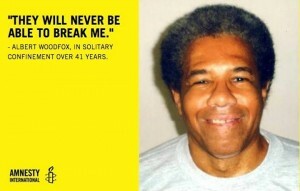 All donated funds will be given to Albert Woodfox to help his transition to freedom on the outside. To make an online donation, click on the “Help Albert!” link on the Angola 3 website, and specify “Albert Woodfox” as the designated recipient. Please contact us at FreeUniversityNYC@gmail.com if your organization or crew would like to co-sponsor. Sunday’s #KochPlaza Action is POSTPONED! Update from Occupy Museums: Due to headlines like “life-threatening cold this weekend” and concern for the health of our presenters, we’ve decided to postpone the 1st Annual Evict Koch Award Ceremony and Teach-In. Occupy Museum folks will still be out there at 2pm handing out Valentine’s cards celebrating Koch’s eviction from the American Museum of Natural History board and calling on the Met to do the same. You’re welcome to join them. Free University-NYC, in collaboration with Occupy Museums, will invite you to Showing Our Love For The People! Free U folks have been brainstorming 2016 event themes, working groups, and intentional directions for our 5th (!) year of existence. Please email FreeUniversityNYC@gmail.com if you wish to learn more about next steps. Sun 2/14: Showing Our Love for the People: Free U Teach-in @Occupy Museums event! Posted on February 8, 2016 by conortomasreed | Comments Off on Sun 2/14: Showing Our Love for the People: Free U Teach-in @Occupy Museums event! Showing Our Love for the People! Occupy Museums, David Tobis, and the International Forum on Globalization will host a citizens meeting, teach-in, and afternoon of actions at David H. Koch Plaza in front of the Metropolitan Museum. The event will bring together experts, activists, and artists for short lectures and discussions on culture, housing, finance, and income inequality. Comments Off on Sun 2/14: Showing Our Love for the People: Free U Teach-in @Occupy Museums event! From Frederick Douglass to Sapphire’s novel ​​Push, learning how to read was intimately tied to freedom. In this teach in, we look at how literacy re-subjectified the blackened body and created a structuralist vision that is the radical seed in Black literature. In Part One of this workshop, Root Cause will share a Divestment Presentation (see video https://www.youtube.com/watch?v=nk4pukNYm6Ma) to discuss cutting ties with the Treatment Industrial Complex, using an activity to understand the TIC’s web. Points for discussion: How can we can cut these ties? What are recommendations for different stakeholders? How can we push Rangel to take tax breaks away from prisons (see petition Bit.ly/RevokeREIT) We will identify resources and strategies healthcare workers and community groups need to improve public health while reducing the need for police and prisons. In Part Two, public hospital workers will share experiences and discuss possibilities of expanding concrete alternatives to abolish prisons that are based on non-hierarchical and transparent forms of collaboration between community groups and healthcare workers. More specifically, we’re interested in how healthcare workers can more effectively collaborate with communities to resist racism, police brutality, and incarceration. Our guiding question: How do we liberate health from surveillance, privatization, and racism? Warrior Sisters is a non profit organization dedicated to ending systemic male violence against women. The group was started in Oregon in 2013 by a handful of women and now has representatives building communities and facilitating free self defense trainings for women and events in cities across the United States, Canada, the United Kingdom and now in NYC! We draw inspiration from Gulabi Gang, a grassroots women led movement in India, in working to build a culture of resistance and empower women as a collective force. We believe that strong women’s communities are a vital element of assault prevention. We are dedicated to building these communities through discussion, sharing of stories, mutual support, and respect. Join us to hear a short introduction about Warrior Sisters which will be open to all and a demo class right after for women only. I will share the experiences of HIJOS in Argentina so as to help us think together about options for where we place our energy/demands/focus and well as how. HIJOS (Hijas y Hijos por identidad y justicia y contra el olvido y silencio – Daughters and Sons for Identity and Justice and Against Silence and Forgetting), began in the later 1990s in Argentina and in many ways is both precursor and emblematic of the forms of organization of the post 2001 rebellion. Different from the Madres of the Plaza de Mayo and the Abuelas, though in solidarity with them, HIJOS does not place demands upon the government as their strategy for justice, but rather organizes itself so as to address society as a whole. They do this to break a “social silence” that they argue is largely to blame for the dictatorship and mass disappearances of their parents, family members and others in society. The perspective of HIJOS is horizontal – looking to those around them as the source of power – both in attempts to transform society, and as the location of the silence that has supported the status quo. Hundreds if not thousands of people who were active or complicit in the dictatorship live free in society in Argentina. Until recently there was a total silence about this. HIJOS organizes in this silence. HIJOS’s goal is not to speak to the genocidas (those involved in the dictatorship), but their neighbors and society in general. Those who were letting people who committed such atrocities live in peace and silence. The form their protests take is more of a public outing than a traditional protest. It became known as the Escrache. An Escrache is this process of outing, it is a tactic for social awareness, using direct action, theater and education against silence and forgetting. Meditation can help us connect our intention with concrete outcomes. This workshop will cover the fundamentals of meditation practice, mindfulness and awareness, cause and effect, obstacles, and the development of confidence in our ability to achieve our goals, including education, healthcare and housing for all and an end to the prison industrial complex. I will teach an overdose reversal & safer injection training. Using naloxone & talking to your communities/networks about safer injection can save lives. Drug users are constantly targeted by police and are at great risk for health concerns, even death, if the stigma & shame around it are not addressed. I will teach how to obtain naloxone (I can bring some kits to give out as well), how to prevent an overdose through safer injection strategies, how to talk about IV drug use without judgment, how to address health concerns, referrals for needle exchanges, how to care for & support injectors in our communities, how to access needle exchanges, and how to administer naloxone as a harm reduction-focused workshop. This revolutionary activist poet (wizofjlitkett.weebly.com) will talk about empowering the formerly incarcerated and protecting their freedom in mind, body, and soul so as to not become victims of circumstance. The facilitator will provide a historical context for discussing the early experiments of government funded programs bringing theater arts into public health education during the AIDS crisis of 1990s. Further discussion will explore how we can utilize theater in and outside The (Prison) Walls to improve public health today. In the second half of the workshop, Thea Martinez will share some of her experiences as actor/educator during the 1990s and offer exercises that introduce the Teatro Vida method to workshop participants. How is care an alternative to caging and control, and when is “care” a strategy for remaking repression? Where can we find obstacles, traps, exits, and openings in this moment of prison reform? How can we transform the power and scale of abolition? Critical Resistance members will discuss coalition building and non-reformist reform through their experience in building the Beyond Attica campaign, working to free people and resources from the prison industrial complex toward reconstructing healthy, whole, and self-determining communities. We will all come together to reflect on the day, and to lay out concrete strategies for a larger city-wide network that can amplify our projects and gain wider support. We will share recent/upcoming actions to build bridges between our groups, and will brainstorm what themes Free University-NYC can explore in 2016 and beyond. We need to strengthen bridges between CARE and PRISON ABOLITION. 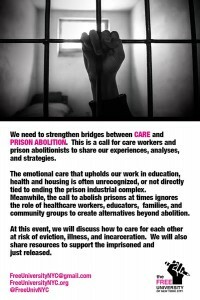 This is a call for workshops by care workers and prison abolitionists to share our experiences, analyses, and strategies. The emotional care that upholds our work in education, health, and housing is often unrecognized, or not directly tied to ending the prison industrial complex. Meanwhile, ​the call to abolish prisons at times ignores the role of healthcare workers, educators, and community groups to create alternatives beyond abolition. 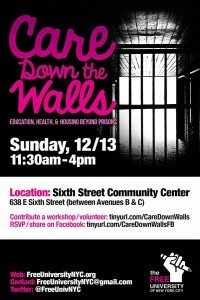 At this event, we will discuss how to care for each other at risk of eviction, illness, and incarceration. We will also share resources to support the imprisoned and just released. – Radical healthcare, past and present. – Defense / offense of legal aid. – Housing strategies from Brooklyn to the Bronx. – Cop-Watch, know your rights, de-arrests. – Learning love and liberation in the classroom. – What comes after we shut down Rikers Island? 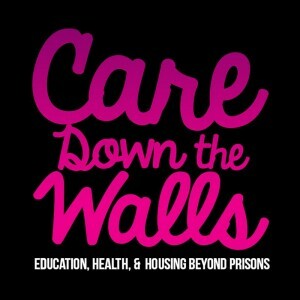 – Media inside and outside prison walls and care stations. – Strike for something: turning economic demands into social change. – Social Reproduction 101: wages for housework, revolutionary feminisms. Share your upcoming actions, meetings, reading lists, zines, jail solidarities, support for the recently released with FreeUniversityNYC@gmail.com. We will compile this info in a pamphlet for the event.